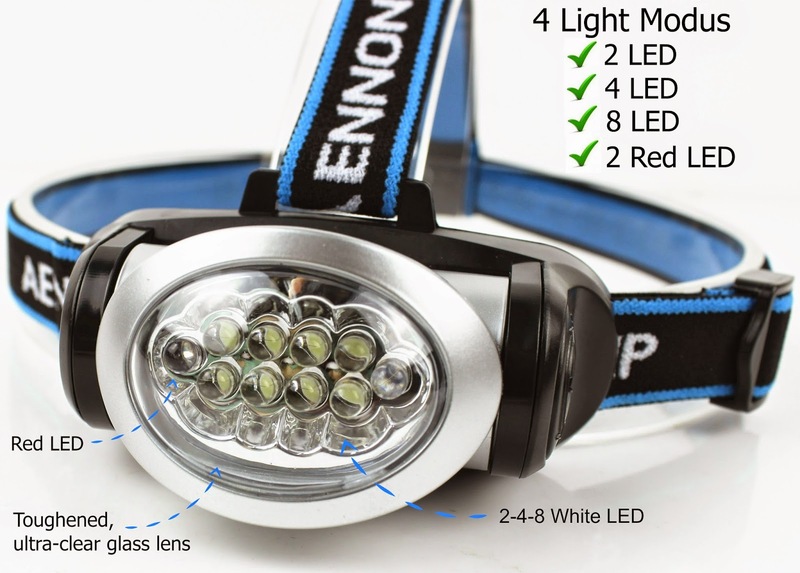 Multi-function LED headlamp for hands-free, bright lighting. 4 Light Modes: 2 LED - 4 LED - 8 LED - 2 Red LED - OFF. 2 LED (Power Save) - 10 Lumens that shine up to 65 feet (20 meter). 4 LED (Bright) - 20 Lumens that shine up to 98 feet (30 meter). 8 LED (Ultra Bright) - 30 Lumens that shine up to 164 feet (50 meter). STEADY Red LED (No annoying flashing red light as with other headlamps). Red LED light ideal for reading, preserving night vision, and for not disturbing others. Weighs 2.95oz, so no “bobbing” around. Small, portable, easy to carry anywhere, and fits around head, hat, helmet, bike or belt. Long LED lifetime up to 20,000 hours; no need to change the LEDs. Save time and money on batteries since LED lights last much longer then regular light bulbs. Sturdy headlamp body tilts up to 90-degrees, allowing you to focus light as needed..
Once the beam is in your preferred position, you can be sure that it will stay there. Shock-resistant, toughened ultra-strong glass lens with AR coating. Powered by 3x AAA Batteries (included!). Up to 16 hours of battery life (using Power Save mode). 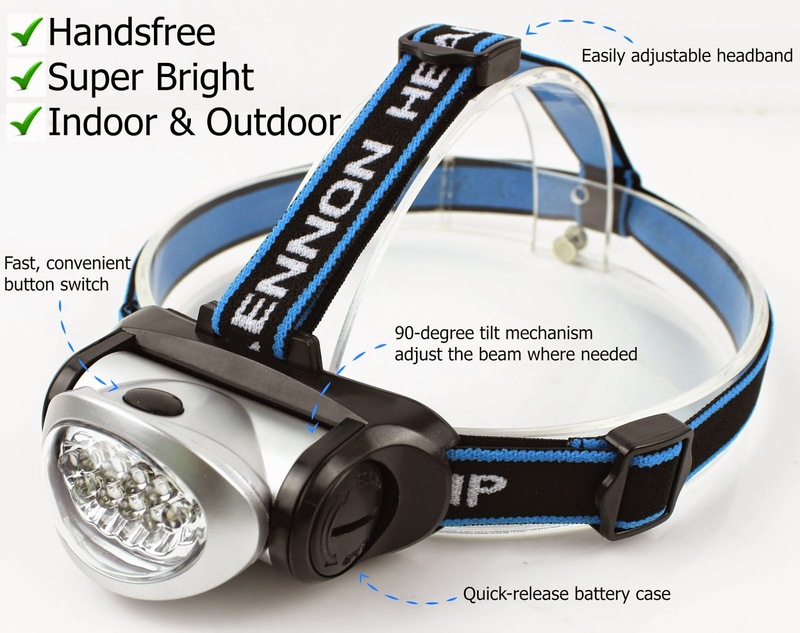 This Headlamp is good for everyday use. Camping, jogging, car work, fixing a faucet. Ideal for your toolbox, emergency kit in home or car. It nice to be able to have different levels/powers of light all in one spot. Even having the red LED for night vision is cool. Makes a great gift! My husband loves this headlamp. Wears it around the house all the time. He forgets that's it on because its so comfortable!